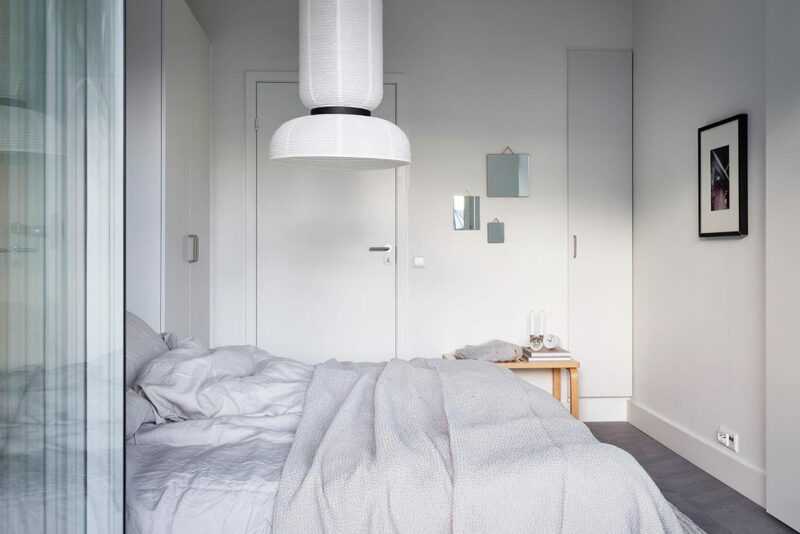 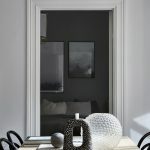 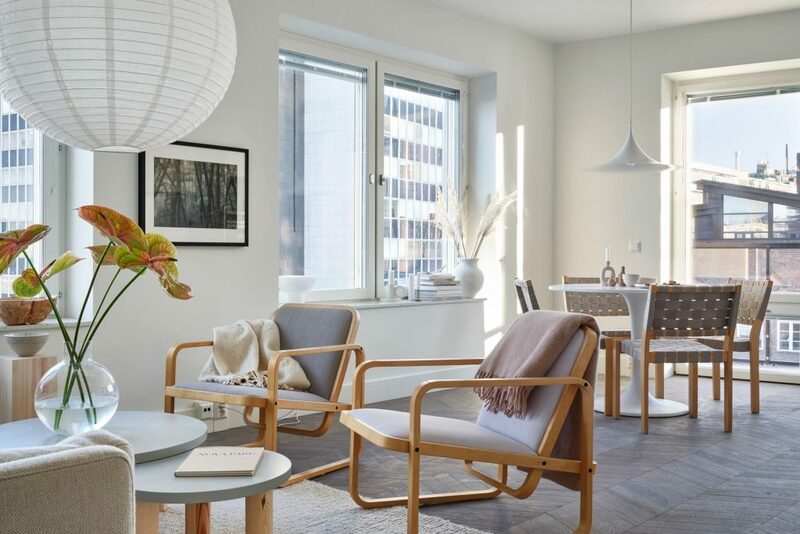 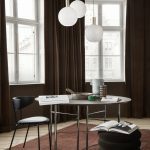 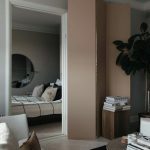 I like the consistent color scheme in this Fantastic Frank apartment – light grey hues mixed with cream white, beige and light brown wood everywhere. 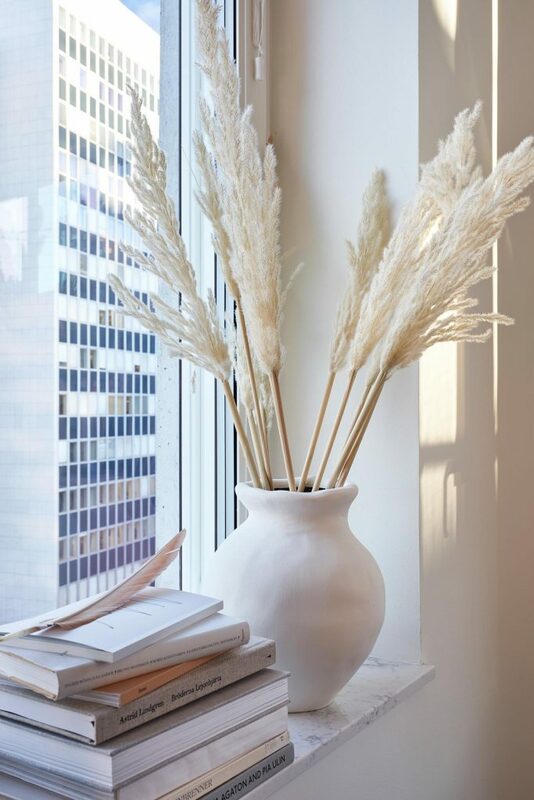 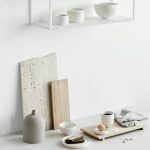 And also lots of grounding natural elements like dried flowers, ceramics and rice paper lamps which give this home a very down-to-earth vibe. 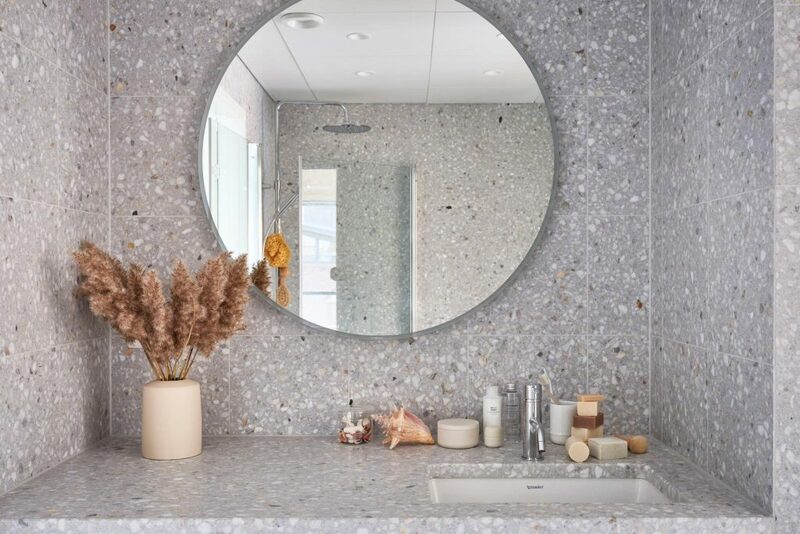 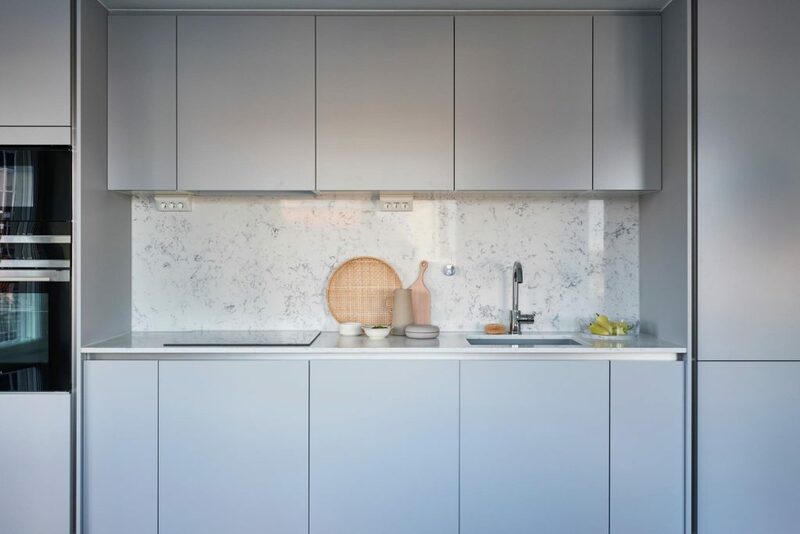 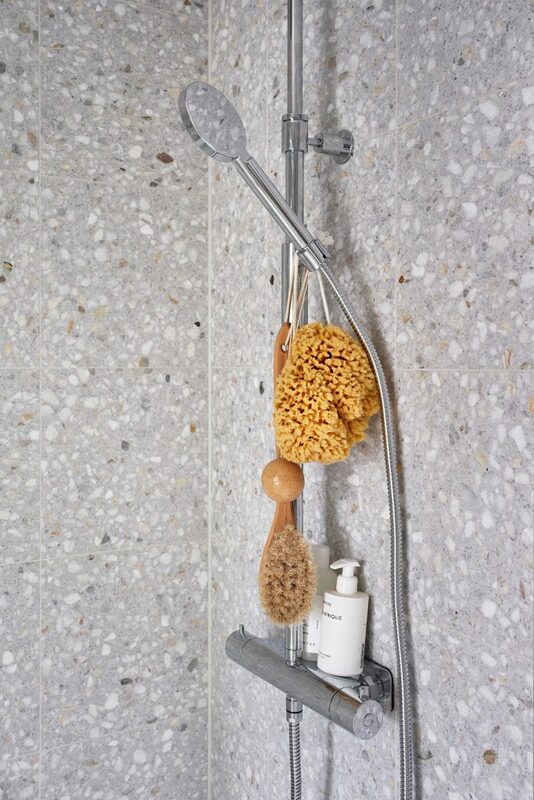 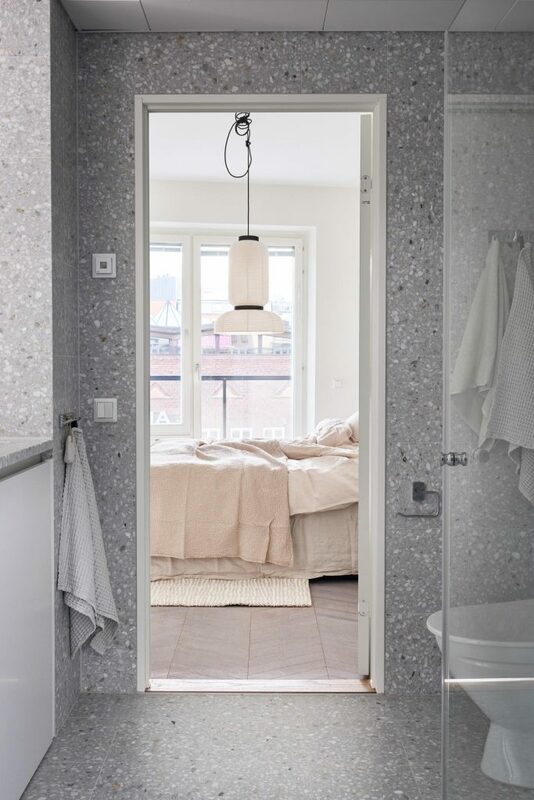 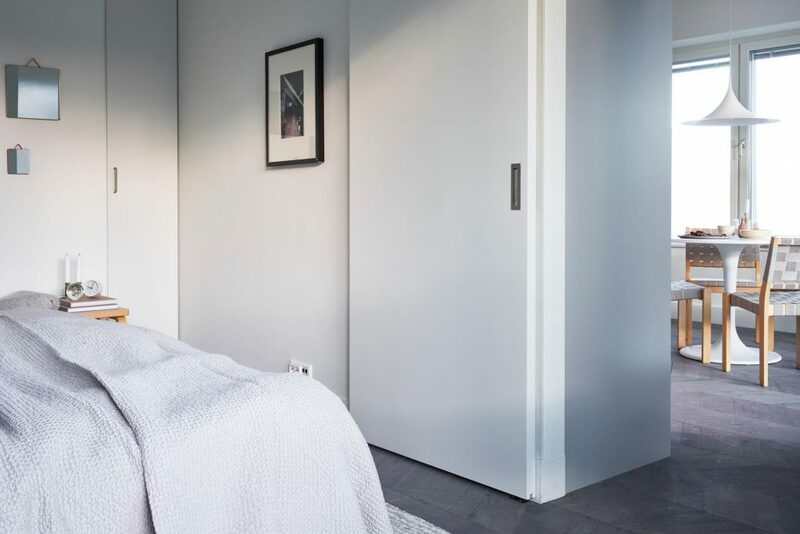 But the bathroom is killing it – it’s completely covered with beautiful light grey terrazzo tiles – what makes me forget about the rest of the apartment in an instant.